You can’t turn on the news without hearing about a company or an individual that has been impacted by social media. Just today, I read an article in the Wall Street Journal about whether or not companies should monitor their employees’ social networking accounts. Because social media is still a new means of communication, there are still a lot of questions about what practices are and are not ethical. 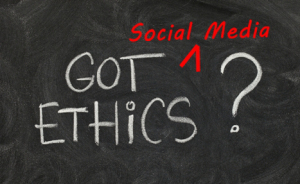 Even with careful consideration, a company or individual can still get into trouble because social media ethics are rarely black and white. What are the likely effects and to whom? Where does my duty lie strongest? If you’re struggling with an ethical social media issue, these questions are great places to start. When I deal with ethical concerns, I like to focus on the second question. If I’m not sure if I should post something, whether it be on my personal or professional sites (If you’re even questioning it, you probably shouldn’t), I try to think of what the possible outcomes might be. I wouldn’t post the same content on my business page, that I would post on my personal page. When I’m posting professionally, I’m representing my company, so my duty lies with the brand and its reputation. That theory sounds simple enough, but as the lecture proved, practically applying the theory can get a little more complicated, especially in the field of journalism. As a journalist, I have sought out information about someone I was writing about on social networking sites. I’ve used pictures from Facebook, researched who their friends were, pulled quotes from statuses, and used social networks to connect with potential sources. Some may consider it unethical, but it’s a method of survival in the reporting industry. I’ve always considered using social sites as a tool as ethical, because the person is putting the information out there, so as a reporter, why wouldn’t you use that information? You have a duty to your company and to your profession to tell the whole story, and social media sites can help you do that. In the case of adding the friend of a murder victim on Facebook without identifying yourself as a reporter, I would consider that ethical. Once you send the friend request, the person has the ability to see who you are, and they can make the decision of whether or not they want to add you. The ball is in their court. While I don’t think there’s anything unethical about it, I don’t know that it’s the kindest of things to do. The person has just gone through a major tragedy, so as a human being, you should respect that and not overstep your boundaries. 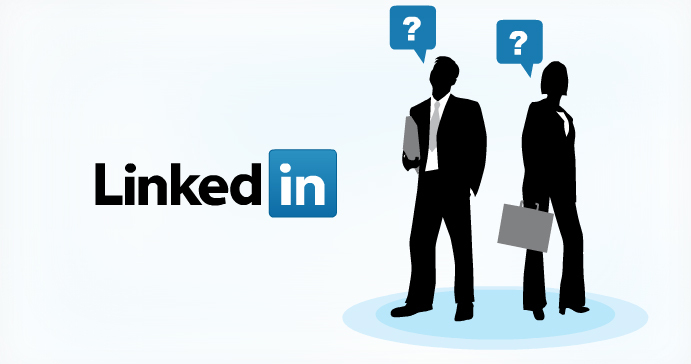 Is your business getting the most out of social media? If you’re only using Facebook, Twitter and Google Plus you’re missing out on a lot of traffic and potential customers, and you may want to consider integrating other networks into your social media strategy. According to a survey conducted by Technorati, 80 percent of social media users are utilizing YouTube, making it the most used social media network. YouTube allows consumers to see the products being used, and consumers trust what they can see. Earning consumers’ trust is essential in business, and 29 percent of consumers say they trust YouTube more than any other social media network. Social Media Director Julie Perry emphasizes the importance of businesses maintaining YouTube channels in order to boost their SEO. YouTube is not just a site for watching hours upon hours of cute babies and puppies. The video-sharing network is the second top search engine because people trust the network and it’s accessible from nearly every mobile device. Tag your YouTube videos with keywords so potential customers can discover you. In order for a brand to be successful on Twitter or Facebook, it’s important that they’re sharing valuable information, not just pushing sales. On YouTube, how can a brand go beyond posting commercials for their products and keep consumers entertained? Is it even necessary to go beyond push marketing on YouTube? In order for a business’ social media strategy to be successful, they have to reach their target audience on the social networks where they’re spending their time. Social media users are spending an average of 98 minutes per month on Pinterest, which is more time than Google Plus, Twitter and LinkedIn combined. Part of Pinterest’s success is due to the visual nature of the site. Images generate more engagement on social media, so use Pinterest to drive traffic to your website. Because of the visual nature of Pinterest, it’s critical that your products or services are displayed in the best light, which may mean hiring a professional photographer. C.C. Chapman says that with tools like smart phones and Instagram, anyone can take quality pictures, but photography remains a skill. Your products and services are the livelihood of your business, so hire a professional to ensure that people click on your pins, and ultimately buy your products. In order to have my personal content reach more people, I’ll pin images from blog posts. I have a lot more traffic on my Pinterest page than my blog, so by connecting the two, I benefit from the increased traffic and improve my integrated marketing strategy. Vine is a site that allows you to post six seconds of video to your Twitter account. The site garnered 13 million users in only six months, and five vines are tweeted every second. Like Twitter, Vine is acting as a news-breaking network. A record 19,667 Vines were recorded and shared on the day of the Boston Marathon bombings. Consumers want to see pictures and videos, and this is another network where you can extend your company’s reach and expand your audience. Vine allows individuals to showcase their personal brand. I follow United States gymnast McKayla Maroney on Twitter, and she uses Vine to show her fans different gymnastic maneuvers and what’s going on in training. The outlet allows her to inform while also showing off her personality, which will only engage more fans. What companies are using Vine effectively in their marketing strategies?